With the 1st ever trade fair in this subcontinent in the year 2000, the exhibitions have come a along way. BODYWEAR EXHITBITIONS has been increasing the participants with each passing show, while retaining 75% of its clients & participants in each of the previous 19 shows. With such high retention , the expo has proved in no uncertain terms , the high level of professionalism and satisfaction ; its participants have derived from this platform. 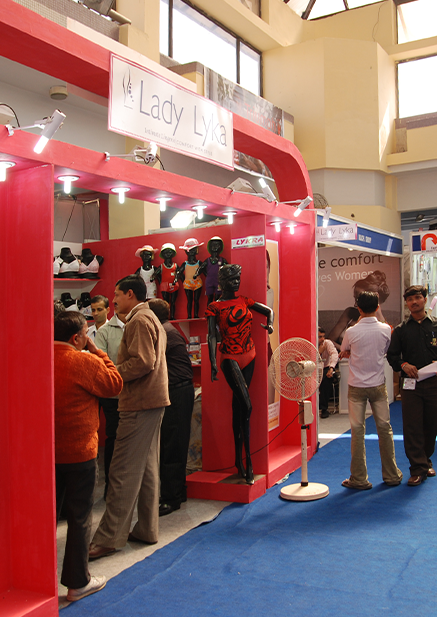 All of these which have made THE BODYWEAR EXBHTION AS THE LEADING INTIMATE WEAR TRADE SHOW IN THE SUBCONTINENT.